The East Coast’s most award-winning cidery sets up shop at the North East’s largest organic farm, McEnroe Organic Farm as the Cider Shack! Full service restaurant, throwing down some of the best burgers in Dutchess County along with lobster rolls, bratwurst, chicken tacos, and a whole lot more. If it walks on four legs, chances are it was raised right here on the farm. Vegetarian and vegan options available and a full farmer’s market loaded with organic produce and sustainably-raised meats. The Cidery is closed for the season, but they'll be open select hours now and then for can/bottle sales. Lots of improvements on the way over the winter (permanent structure anyone?). Opening back up in full form with full service May 3rd! 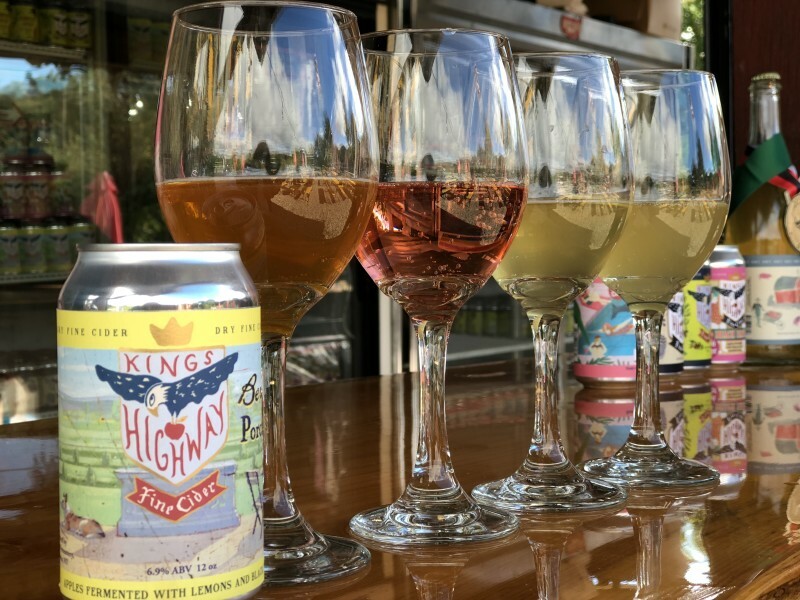 Follow us on Instagram (@kingshighway_cider) to stay up-to-date.